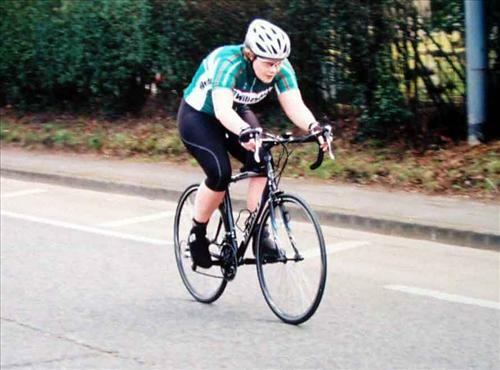 Time trials are road cycle races, often over set distances, where you ride alone and unaided in an effort to record the fastest time possible. Many club members ride TTs throughout the season, either as their main activity, or as an occasional alternative to their core activity. They are excellent races for gauging your fitness and getting a serious work out. The most popular distances are 10 and 25 miles, but courses range from 250 metre hill climbs to 24 hour marathons. 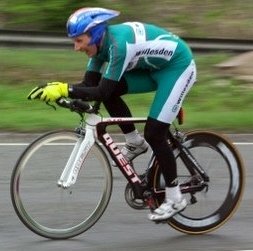 The club is affiliated to Cycling Time Trials (CTT), the national governing body for road time trials in England and Wales. There are hundreds of open events every year and hundreds more club events that can be entered on the line. We are in the London West District – follow the links for lists of local open and club events. Locally, we are part of the West London Combine. The Combine runs a series of events for members only. Entries are made via the club TT Secretary – contact them to make sure that you’re on the TT email circulation list. WLC events count for several club trophies awarded for fastest on time, handicap and/or veterans standard. 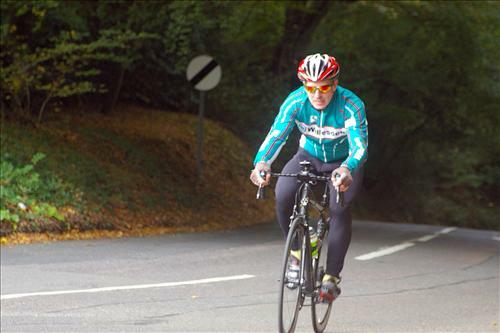 We are also affiliated to the West London Cycling Association who run a series of open events that give preference to members of local clubs. They run a season long sporting courses (SPOCO) league as well as awarding many other trophies. specialist kit at events, but it’s not compulsory. Turn up at a local club event, pay a small entry fee and sign on. You’ll be given a number, a countdown and an encouraging push as you start. Just pedal like hell until you reach the finish. Congregate to get your time, compare your performance with your team mates and try to get your excuses in first. Make a record of your performance because you may need it to enter future open events. 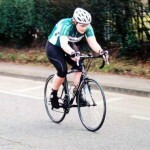 There are local club events at Hillingdon Circuit, run by the Westerley CC, and at Black Park, run by the Bath Road Club. As you ride more events you’ll get a better idea of how to pace a race and what you need to do to improve. Don’t buy too much aero kit too soon though! For help and advice on getting started, please contact the club TT Secretary Mick. There are also some useful articles on the CTT site under the ‘Beginners’ tab.